In The Hoop 2 Color Bag. 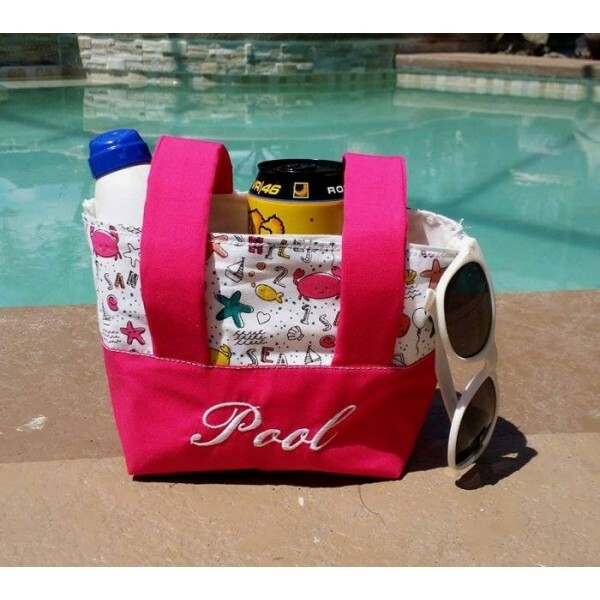 This is perfect for a Pool Bag this summer to carry your lotion, drink, glasses, and more! This is adorable! 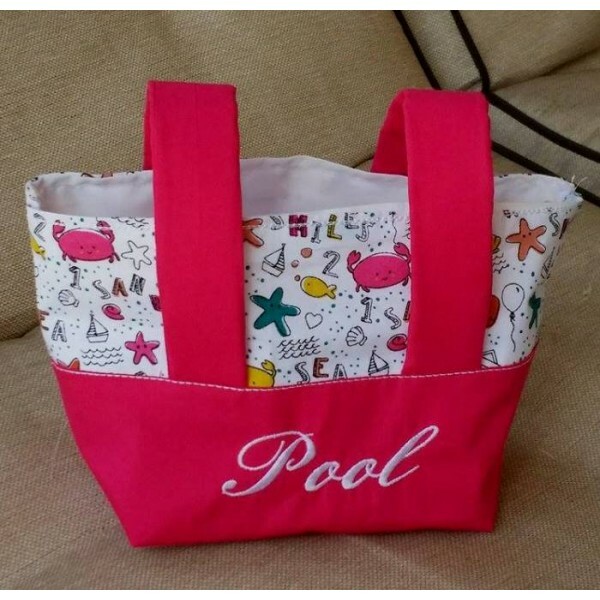 Great tote for kids too! 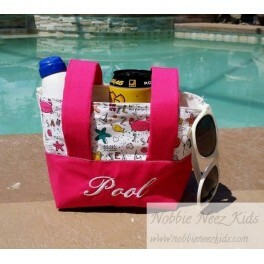 You can custom by choosing different fabrics.